It is a very common thing, even for the biggest companies in the industry, to switch up the ways to win system with the paylines. This change seems to be very efficient as all these firms get are positive feedbacks and comments full of support and demand for more. Gaming online attracts thousands of new customers every day, and having the right bet span to satisfy everyone's needs is the key. That is why Endorphine decided to go with only 1 coin as the lowest possible bet, while the highest one goes all the way up to 400.00. With both total bet and winlines adjustable, everyone can find the perfect wager to start with. Online slots are all about entertainment, luck, having fun and gambling, which is the reason why More Fresh Fruits slots have a mini-game available at the end of each winning spin. They called it the Risk Game, and it allows players to double up the prize up to ten times consecutively. Five cards appear on the screen as soon as the feature is activated and only one is face up. That one is the dealer’s card. The goal is to pick one of the four remaining face-down cards, finding the one with the value higher than shown on the dealer’s card. Each lucky pick applies a x2 multiplier immediately, while the unlucky one stops the addition and resets the win meter. Same cards result in a draw and the game is continued. Taking, even more, risk while already gambling at a casino is the best way of making money. Keep in mind that you can collect the prize at any moment throughout the feature, but once your card is lower, it is all gone. Cash-Back – Gives back a percentage of lost money. More Fresh Fruits online can be played in tens of casinos that offer these bonuses plus a lot more interesting and unique additions. All of the bonuses can be claimed with no download required. The registration is, however, needed in most cases, except on some rare occasions where promotional offers award those who just visit. Keep in mind that every bonus has a withdrawal condition which needs to be fulfilled before a payout is requested. No payout requests can be sent without first signing up to the online casino, no matter what the procedure was for the depositing part. 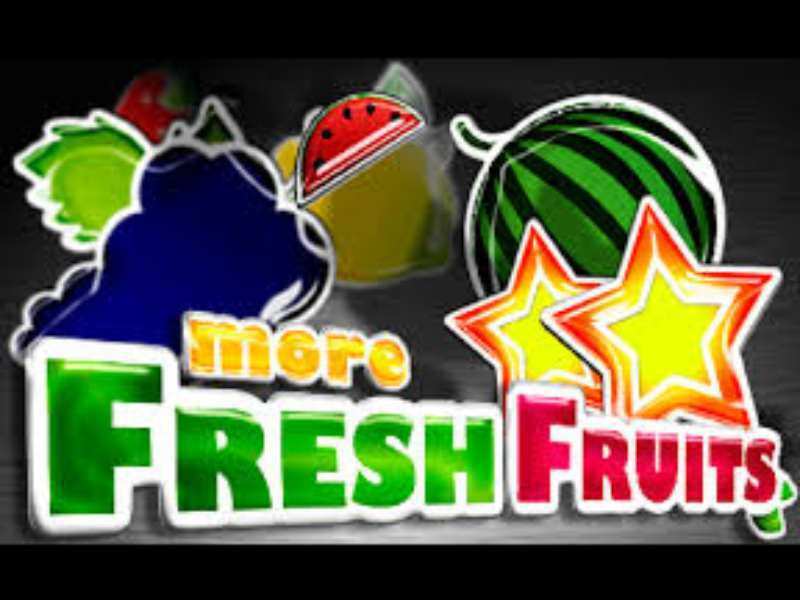 If you play free More Fresh Fruits casino slot machine, you are almost certainly familiar with at least one fruit slot already, because there are thousands of them online! If not, then make sure to check some of the greatest fruit related games such as the Call Of Fruity Slot, made by Barcrest Gaming. Gaming on the fruit slots was popular even in the land-based casinos and still is, because of the variety that category offers. Those machines range from 3×3 with only 1 payline structured ones all the way to those with 4096 ways to win! You are more likely to hit the jackpot by spending more time at one machine. The only bad side of this is that you might be missing on some other great releases from different categories, but nothing is stopping you from launching the free version of some of the most popular games. It allows anyone to play for as long as they like, as a simple refresh or a reload on the app resets the demo credit counter. 0 responses to "More Fresh Fruits Slot"